I was penciling a story arc for Topps’ Return to Jurassic Park title. The book was shelved as I was nearing completion. 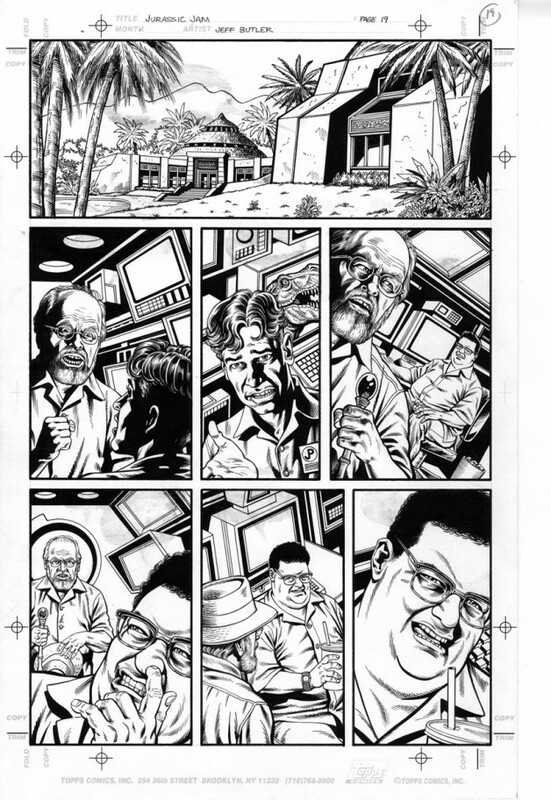 Instead, I got to pencil the first 2 issues of the comic adaptation of The Lost World: Jurassic Park! I penciled and inked this page for the one-shot, Jurassic Jam comic. Each page was drawn by a different artist.